From GameHouse, makers of Delicious, Fabulous and Heart's Medicine, comes a brand new time management adventure that will make your heart soar! Meet Amber Hope, aspiring stewardess for Snuggford Airlines. Amber has dreamed of flying to exotic destinations around the world since she was a girl. But before she can join the elite crew of air hostesses, she'll need to pass her exams. That's not going to be easy, and she'll need your help. 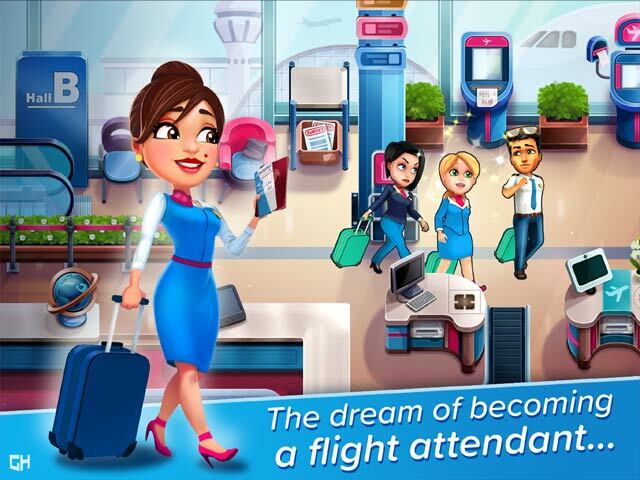 In Amber's Airline: High Hopes, you'll get a taste of the glamorous life of a flight attendant!